Many people suffer from allergies which affects some, or many, of the lifestyle choices that they make. However, if the kids are still begging for a dog and you’re steadfastly refusing to give in there are a few simple techniques that can be helpful in reducing the risk of an allergic reaction to having a dog in your home. Dander, which is attached to the dog’s hair, is the main reason that people suffer from allergic reactions to dogs. However; there are dogs that have consistent and predictable coats that produce less dander, therefore reducing the risk of a reaction. As well as selecting one of these dogs, certain changes to your lifestyle should also make a dramatic difference in helping to ease the symptoms for allergy sufferers. The most important way to reduce an allergy reaction is to pick a hypoallergenic breed. These dogs produce less dander and are therefore less likely to cause a reaction. 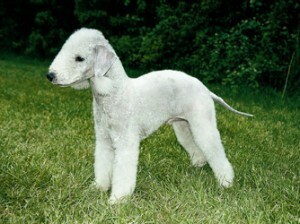 Dogs that are recognised as hypoallergenic breeds include; Bedlington terriers, poodles, Irish water Spaniels, Kerry Blue terriers and Schnauzers, amongst many others. Keeping your environment clean is also hugely important in reducing the risk of an allergic reaction. It is recommended that people make their bedrooms ‘dog free’ areas. This will limit the amount of exposure that the allergy sufferer will have with the dog. The next step would be to try and vacuum daily, or at least as often as possible. Go over hard floors with a mop and dust with a damp cloth. Look at the fabrics that are being used in the home and consider changing them. Wood or tile floors are much easier to clean and less likely to hold dander than regular carpet. Also try to avoid fabric curtains, opting for blinds instead. Lastly; grooming the dog is very important. By constant grooming with reducing allergies in mind it can really help to ease the reactions. Which dog breeds are best for allergy suffers?